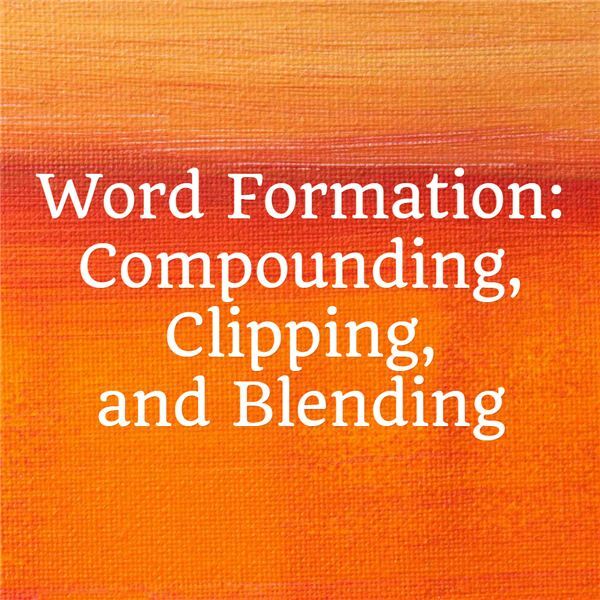 Compounds may be compositional, meaning that the meaning of the new word is determined by combining the meanings of the parts, or noncompositional, meaning that the meaning of the new word cannot be determined by combining the meanings of the parts. For example, a blueberry is a berry that is blue. However, a breakup is not a relationship that was severed into pieces in an upward direction. Compound nouns should not be confused with nouns modified by adjectives, verbs, and other nouns. For example, the adjective black of the noun phrase black bird is different from the adjective black of the compound noun blackbird in that black of black bird functions as a noun phrase modifier while the black of blackbird is an inseparable part of the noun: a black bird also refers to any bird that is black in color while a blackbird is a specific type of bird. The four types of clipping are back clipping, fore-clipping, middle clipping, and complex clipping. Back clipping is removing the end of a word as in gas from gasoline. Fore-clipping is removing the beginning of a word as in gator from alligator. Middle clipping is retaining only the middle of a word as in flu from influenza. Complex clipping is removing multiple parts from multiple words as in sitcom from situation comedy. Blended words are also referred to as portmanteaus.